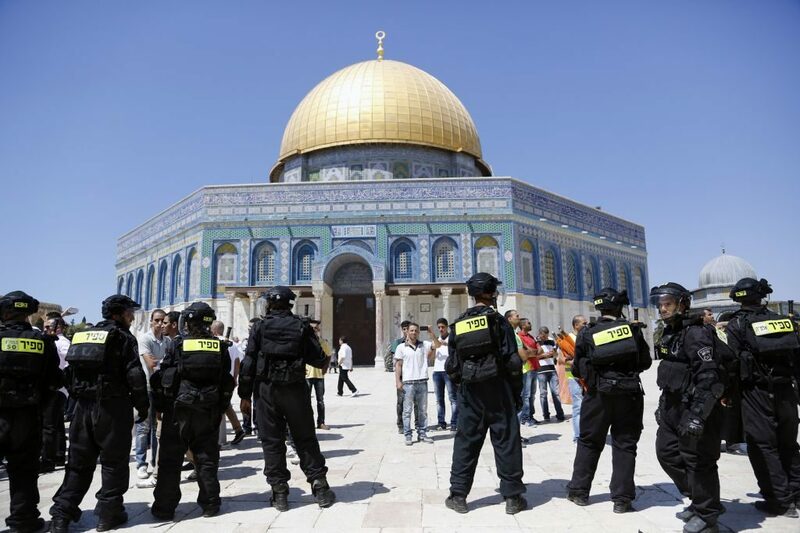 A ban on Israeli lawmakers entering the al-Aqsa mosque, enacted in October 2015 over concerns about security and inflamed tensions, was set to be lifted today. Called the Temple Mount by Jews, the site is the holiest in Judaism and the third-holiest in Islam. Following an attack at the site by Palestinian militants on Israeli police last week, the reopening to lawmakers will likely be delayed. Following the attacks, the mosque was briefly closed and then reopened with new security procedures, including the bitterly protested addition of metal detectors. Controversially, Muslim men under 50 have been banned from entering the mosque. But rather than halting violence, the new measures have incited it. On Friday, three Palestinians were killed in clashes with Israeli police, increasing the probability that Prime Minister Benjamin Netanyahu will delay lawmakers’ return. If the ban is lifted today, it will start a week-long trial period to see whether it is ended permanently and test how secure the site is. In the unlikely event this goes forward, don’t expect the trial to find safety and calm.